With over 15.6 million jobs and counting, the health care sector is one of the largest industries. For several years, pharmacy technicians remain one of the fastest growing and leading occupations on the BLS list of top occupations. Kansas Board of Pharmacy regulations help maintain the integrity of the occupation and safeguard public health. Accredited training programs prepare graduates to work alongside pharmacists in community pharmacies, hospital pharmacies, grocery stores and assisted living facilities. Pharmacy technicians dispense medication and other health care products to patients. Other duties include administration, inventory, and customer service. In hospitals, technicians have the added responsibility of reading patient charts and delivering medicine to the patients’ room. While the Board of Pharmacy regulations does not stipulate formal training, paving the way for on-the-job training, employers welcome the opportunity to hire trained and certified pharmacy technicians. Not all employers have the resources, time and capacity to train employees. For this reason, pharmacy technicians with previous training and certification will stand a better chance of employment. 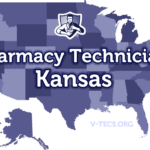 It is unlawful for any individual to function as a pharmacy technician in Kansas without first registering with the Board of Pharmacy. Pharmacy technicians must complete appropriate training at an accredited institution or by a pharmacist-in-charge at the place of employment. The Pharmacy Act also requires technicians to pass a Board-approved exam within 30 days of registration with the State Board of Pharmacy. The technician must take the test within 30 days of Board licensure, and the employer must maintain a copy at the pharmacy’s location and be readily available for inspection by a Board representative. Pharmacy technicians need only one registration to work in multiple pharmacies. The Board will provide a registration card with a registration number that the technicians must present to the new employer when changing jobs. Employers have the responsibility for checking the registration status of their technicians to maintain their compliance with state laws. Employers will need a copy of the prospective employee’s registration card and use the License Verification tab on the Pharmacy Board’s website to ensure they’re employing properly registered technicians. Once employed, the pharmacy technician’s registration must be prominently displayed in the place of business. Applicants must be at least 18 years old to register as a pharmacy technician in Kansas. While the KBP does not stipulate a high school education as a requirement for registration, pharmacy employers will request it from prospective employees. Additionally, technicians who plan to pursue national certification through the PTCB or ExCPT exams will need to submit proof of completing high school or GED equivalent. Applicants must disclose previous felony convictions on the application for registration. Legal documents and an explanation of the events leading up to the conviction should accompany the application if you have prior convictions. Admission to felonies could delay the registration process but does not automatically bar a candidate from registration. The Pharmacy Board may also, at their determination, require an applicant to submit to a physical or mental examination before granting approval of the license. Pharmacy technician education programs are available at academic institutions, private institutions, health care organizations and various divisions in the Department of Defense and Public Health Service. Since Kansas requires employers to train technicians in all aspects of the work they perform, a vast majority of the state’s technicians acquire their skills through employer-based programs. Pharmacy technician classes at traditional institutions cover a lot of the same topics but will often include an externship, giving students the opportunity to employ their skills in retail and hospital pharmacies. At the conclusion of training, students are prepared to take a state-required 20-question exam or challenge the national PTCB or ExCPT exam. Apply for employment at a local community pharmacy, and you’ll train for free. Tuition at academic institutions, such as Hutchinson Community College, cost an average of $3230 plus extra for textbooks, course materials, uniform, registration, immunization, and insurance. Applicants must possess a high school diploma or GED equivalent and pass a criminal background check. With the other expenses, the total cost of attendance could be in the region of $4700. Although employer-based programs may be attractive due to free training, changes in pharmacy regulations could create a shift towards accredited programs, especially those accredited by the ASHP. If you attend training at academic institutions, you can consult with a financial aid officer to learn about scholarships, grants, federal or private loans to fund your tuition. The duration of training provided by a pharmacist-in-charge is no more than 180 days. Training at academic institutes and other for-profit providers typically last 3 to 12 months. Associations such as the Pharmacy Technician Certification Board (PTCB) and the Institute for the Certification of Pharmacy Technicians (ICPT) grant certification to pharmacy technicians who meet their specified qualifications. The PTCE and ExCPT use assessment exams to determine technicians’ knowledge, skills, and work readiness. 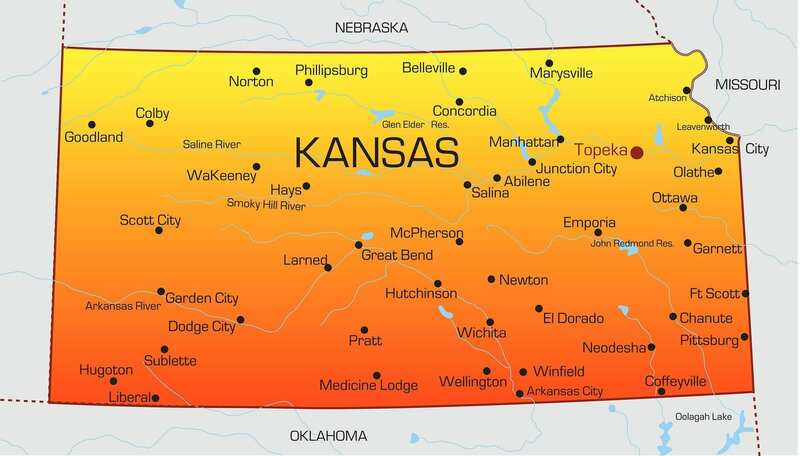 The Kansas Board of Pharmacy does not currently require national certification from pharmacy technicians. However, they recognize the benefits of both certifying bodies. The PTCE, the older of the two assessments, is developed and managed by the PTCB and candidates must pass the assessment and fulfill all other requirements to achieve certification. Candidates for testing must have a high school diploma or equivalent education, pass a criminal background check, disclose actions taken against state licenses and comply with PTCB certification policies. The cost to take the exam is $129. After the PTCB approves the application, candidates can schedule a test date (within 90 days) at any one of Pearson Vue test centers across Kansas and the rest of the nation. There’s a total of 90 multiple choice questions, and candidates have 2 hours to answer them. Ten of the questions will not count towards the final score. The ExCPT is another exam for pharmacy technicians. Developed by the National Healthcareer Association, the test is available at PSI/LasetGrade test centers across the nation. The computer-based exam comprises of 120 multiple-choice questions. Candidates have 2 hours to complete the test. The fee to take the exam is $105. Pharmacy technicians must apply for and receive an approval of registration from the Board of Pharmacy before working at state pharmacies. Use the following instructions to submit your application to the Board. Submit a request for the technician application by mail. The form is not available online. 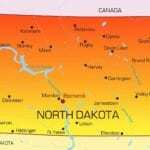 Affix copies of your state ID and social security card with the application. Enclose the $68 registration fee with the completed application. Follow the instructions to complete the fingerprint card for background screening. Provide copies of any training or certification completed. Pharmacy technicians must renew their registration with the Board every two years. The Board will send out the renewal form by mail – it is not available on the Board website. Pharmacy technicians should maintain an accurate address and name on file in order to receive critical communication from the Board. Check your license registration number to determine if it’s odd or even. Holders of even registration numbers will renew in even-numbered years, and odd-numbered registrations renew in odd-numbered years. Check your mail. The Board will only send renewal forms to technicians who are due for renewal. Pay the $20 renewal fee using a check or money order. The Board will supply a prorated fee for renewals that fall short of the two-year period. The Board may deny an application for renewal if there are any reports of disciplinary actions taken against the applicant. There’s a 30-day grace period from the license renewal date. If you fail to renew within this period, you must apply for a new license. Pharmacy technicians licensed in another state must apply for registration with the Board of Pharmacy before taking up employment at state pharmacies.